Technology that helps us… Technology that Wows us! I received my Valley Schwag package today! What is Valley Schwag? In Silicon Valley, home of the startup; companies hand out Schwag tomarket their brand. 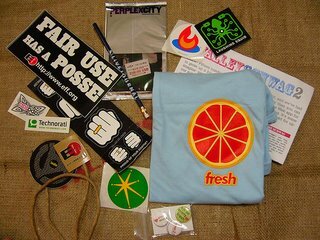 T-shirts, caps, pens, stickers and whatever else they can think of. For those of us non-Valley types, we can now have access to that same Schwag. Valley Schwag will send you a monthly Schwag package for $15 a month. They promise at lease one t-shirt per month, plus other Schwag. 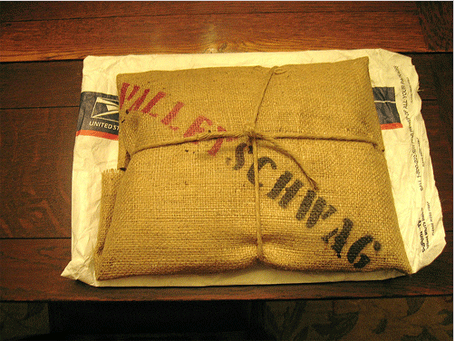 I first leaned about Valley Schwag on the Techcrunch blog. They have been amazingly successful. Their first month, they sent out 60 packages. This month they sent out 1500. Yes, I admit, it is really for the true geeks out there. But hey, that’s what this blog is all about. I received the email confirmation that I was accepted by Blogburst. Blogburst is a publishing/syndication service. They syndicate many blogs to newspapers across the US such as The Washington Post and the Houston Chronicle. When a post is used, you get a byline added in the publication. So I’m asking everyone for help. Send me post topics. Some of the upcoming posts I’m working on: Building traffic for your Blog Opinions on downloading music Staying organized with MS Outlook Do you have a Terabyte at home? So what technology do you want to know about? Click on the Comment link below and let me know. I recently attended the Mesh 2006 conference. There were a lot of great discussions. The one that interested me was a discussion on wireless and satellite radio. I sat behind Andrew Coyne from the National Post. He coined the phrase Ubiquitious Wireless. This means, wireless everywhere. This is not some future science fiction, but reality in the next 5 to 10 years. It is already happening in San Francisco and Phillidelphia. Now imagine for a minute, if all handheld and portable devices had WiFi capability. From your MP3 player, to your cell phone to your car stereo. Now that you have the hardware, you need the content. Robert Scoble posted an entry in his blog about the sort of filter he would like to see for retrieving content. It could retrieve random information and post it to his iPod. Then as he listens to the information it would track what you liked and remember to download like content the next time. There are music services that do this today. The Pandora project uses math to analyze songs and groups them together. You choose some artists or songs. It presents those and others that fit the same style. Last.FM uses community preferences. If a lot of people who picked your artist or song, also picked these other songs, then it puts those into your playlist. Now take all the above and add it into a car stereo with WiFi. 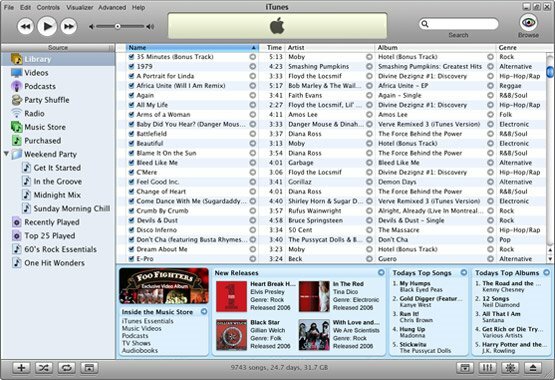 The software or your choice collects the music content for you above and either plays it, or stores it on your car stereo. Cheap flash memory is available today in 8GB sizes. So how does satellite radio compete with this. Or maybe the question is…Can satellite radio compete with this. I can read my feeds on any computer without installing software. It keeps track of the articles I have already read and only shows me new ones. No this is not some spam that I recently received. This is not some bait and switch tactic to get you to sign some multi-year contract with an ISP or cell phone provider. This is the real deal. Out of the blue on Monday, Skype announced they would allow FREE SkypeOut calls to any phone number in North America. SkypeOut is a service where you buy credits, and it allows you to call a land line phone number for about 2 cents a minute. Well now that service is FREE until the end of the year. After that Skype isn’t saying. I can tell you from experience over the last 2 days, that is words fine. I called family in B.C. and it was crystal clear. So what are you waiting for. Download Skype and start making your free calls. Not that I mind you checking back every day to see if I have a new post. I have a new feature that will email you the new posts as they are created. See the Subcribe Me button in the sidebar to the right. Add your email and you will be the posts each time they are added. See the flags above. These are not there for decoration. Each one will translate this blog into that flag’s language. Choose from French, German, Italian, Portugese, Spanish, Japanese, Korean or Chinese. This makes it simple for anyone in the world to be able to read your blog.